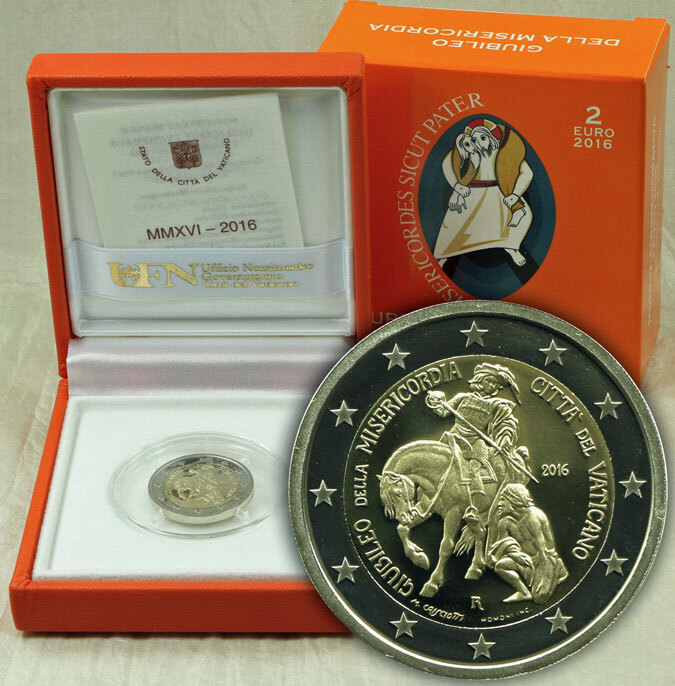 2016 Vatican 2 Euro proof bimetal coin for the Holy Year of Mercy. Coin depicts Saint Martin of Tours, a soldier of the Roman Imperial Guard, cutting his cloak and giving it to a man in the cold. The depiction is tied to classical iconography and an ideal representation of one of the Seven Corporal Works of Mercy, to clothe the naked, recalling the words of Jesus, "I was naked and you gave me clothing."